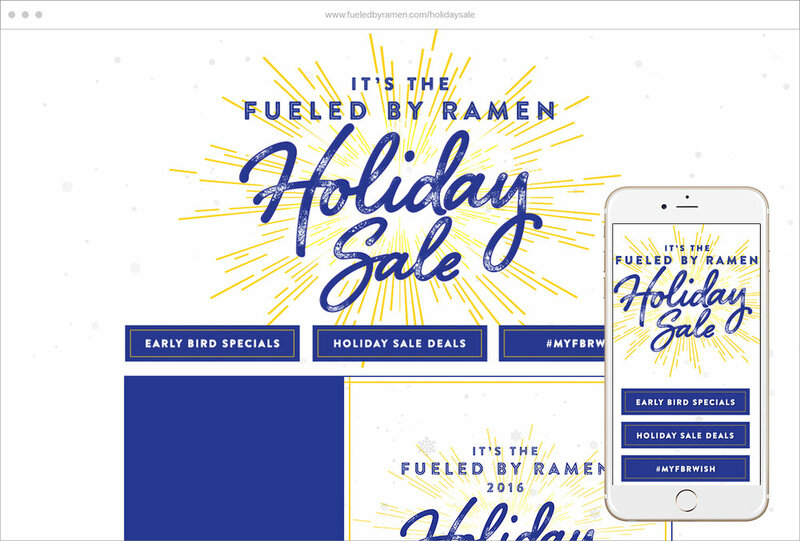 I'm Tonianne Tartaro, a NYC-based digital designer, who has worked for a variety of high profile clients in the music industry including Christina Aguilera, Miguel, Bruno Mars, Ed Sheeran, and Twenty One Pilots. A variety of Bruno's official website, web store, and contests. 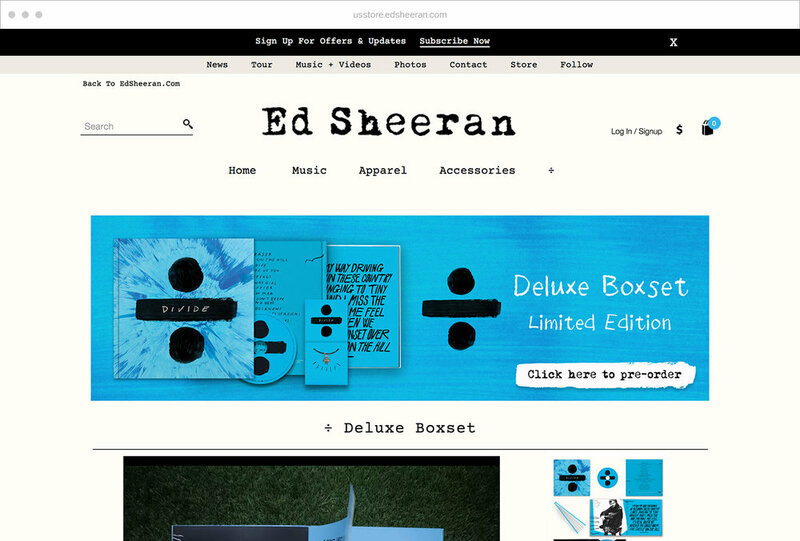 A variety of Ed's official website, web store, contests, and splash pages. 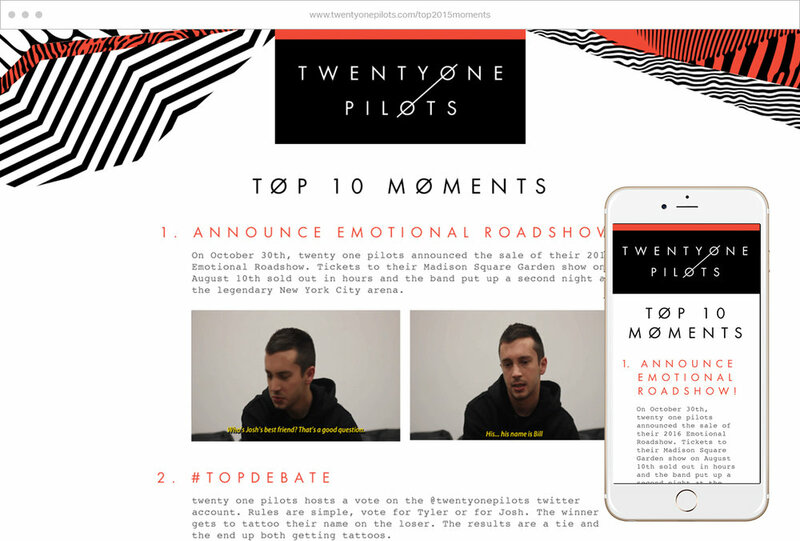 A variety of Twenty One Pilot's official website, contests, and web experiences. 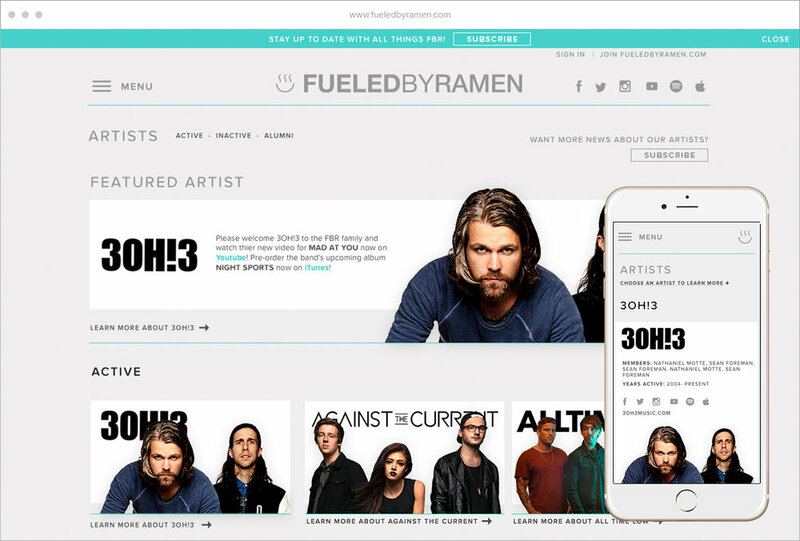 Redesign of parent company Warner Music Group's website. 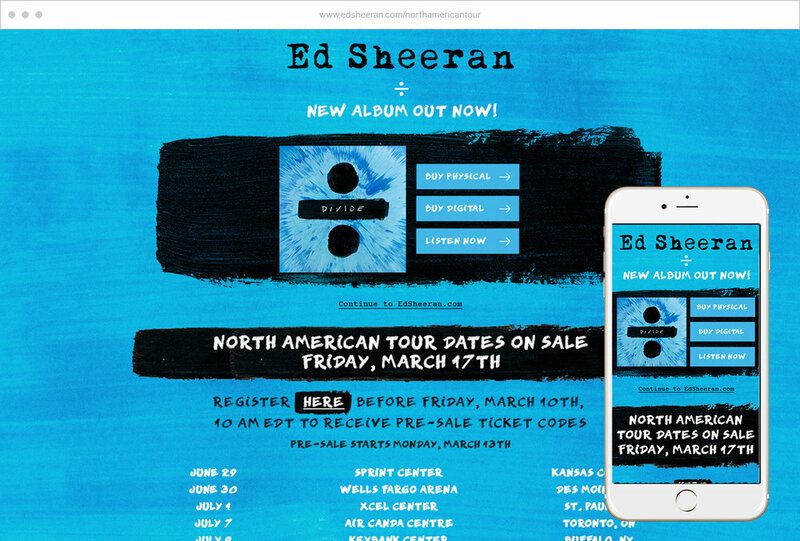 A variety of Wiz's website and "So High" Spotify experience, the first experience using Spotify's API. 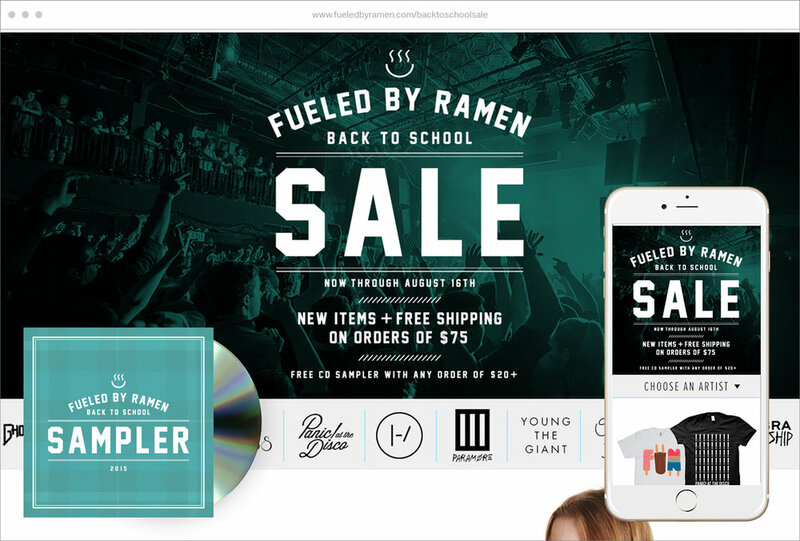 Fueled By Ramen's new website and special sale splash pages. A variety of Fitz and the Tantrum's official website, contests, and splash pages.